Mauritius is a small island nation 1,200 miles (2,000km) off the coast of Southern Africa in the Indian Ocean. The 1.2 million inhabitants make up the most densely populated country in Africa. Mauritius is known for beautiful exotic beaches. 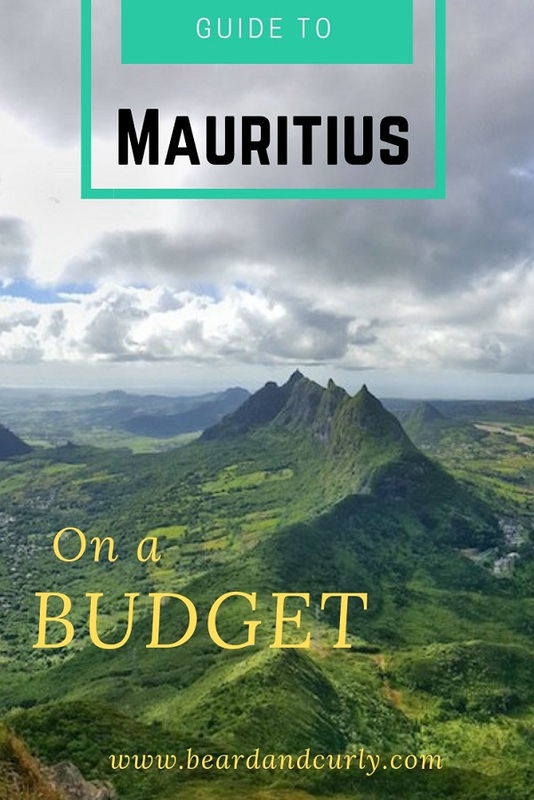 There is often a misconception that Mauritius is expensive to visit. It has a luxury tourism industry, not far behind the famed Seychelles and Maldives islands. However, there are also several ways to visit Mauritius on a budget. 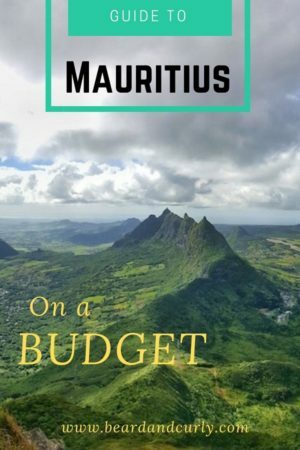 Should you go to Mauritius? 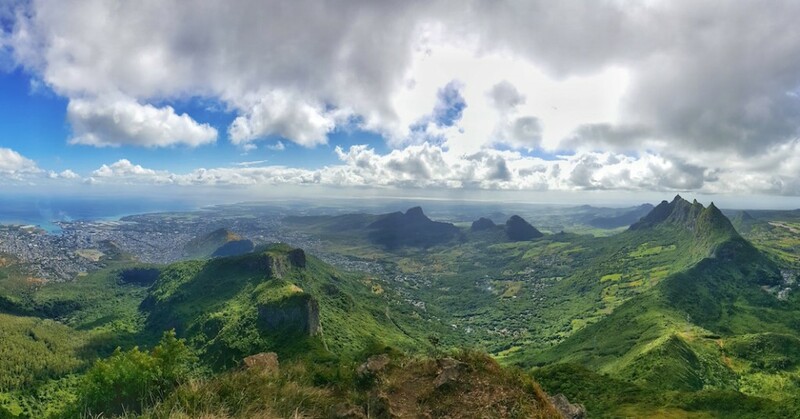 There is a little secret on Mauritius that is hard to come by via the internet. Camping is LEGAL and FREE on all public beaches. Yes, that is right, it is possible to visit Mauritius with entirely free accommodation. We camped at several different beaches and not once had an issue with law enforcement or locals. Most beaches have toilets and some have shower facilities; however, they are only open from 7 am until 7 pm. 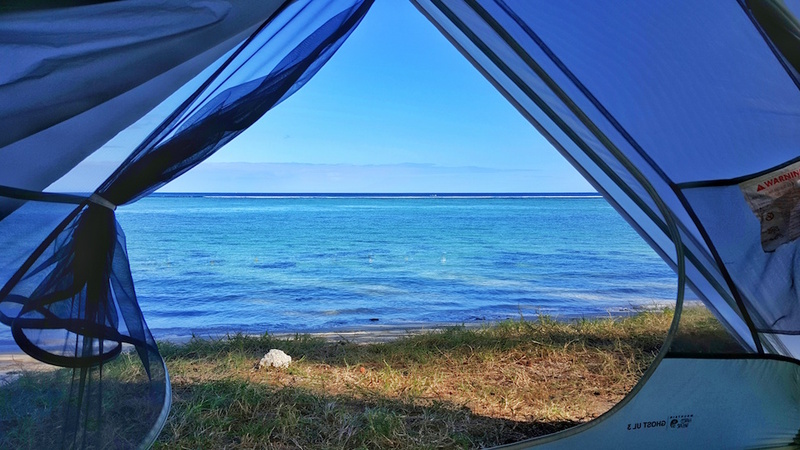 Top beaches for camping: Trou-Aux Biches, Flic en Flak, Tamarin, Palmer, and Poste Lafayette. 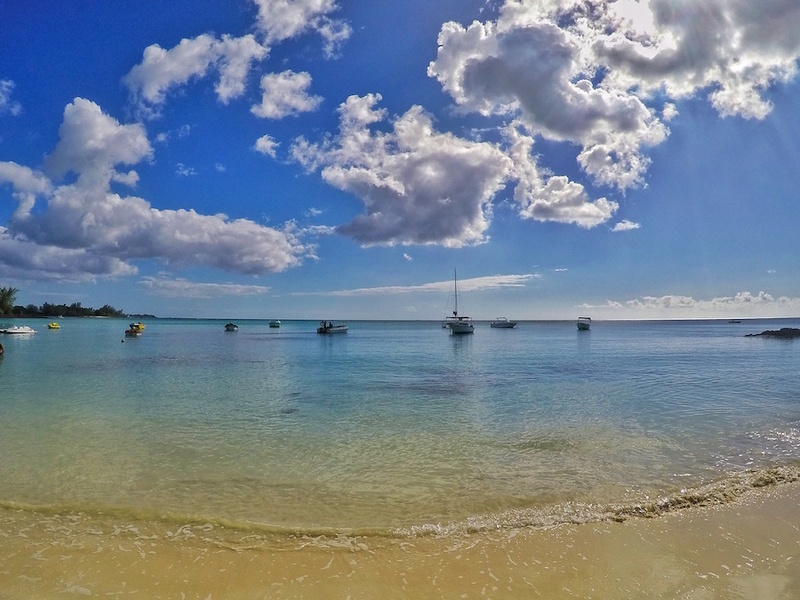 Read more on the full article for the Best of Mauritius Beaches. Airbnb – there are several options ranging from $25 USD to $40 USD. The most popular areas for Airbnb are in Grand Baie, Flic en Flak, and Mahebourg. Private studios – Google search may give information; however, we searched for signs in each town and spoke directly to someone at a realtor office. Private studios and apartments are available for rent. 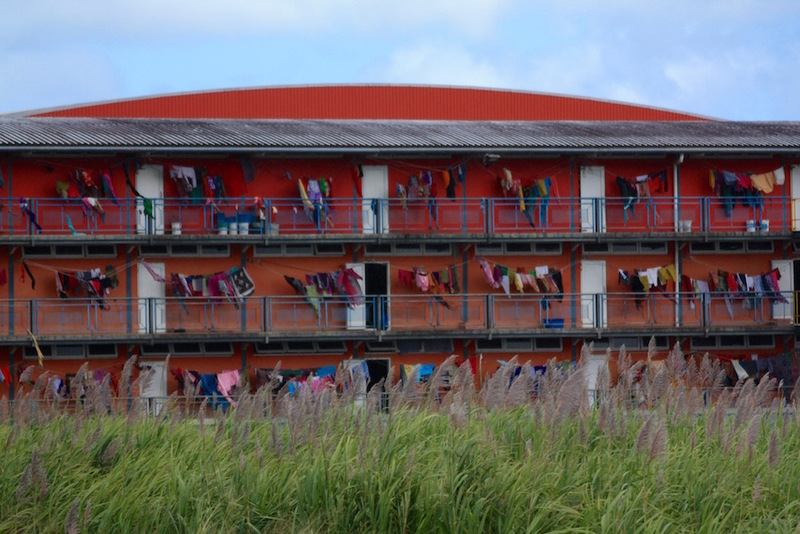 We stayed in a 2 bedroom in La Gaulette for $35 USD. Food on Mauritius is excellent. Due to the diverse ethnicity of the people of Mauritius, ranging from Chinese, Indian, French, and African, local food has a blend of exotic flavors. Restaurants can get expensive, but there are plenty of budget options for local food. In the larger towns, we found small and basic restaurants serving noodles, soup, and fried rice with costs between 60Rs and 120 Rs. Street vendors are available in nearly all beach towns. There are several options such as samosas and roti for less than 15 Rs to fried noodles for 100 Rs. Read more here about Food in Mauritius. Renting a car in Mauritius is not cheap, so this is one thing to decide to splurge on or not. Renting a car helps in seeing more things, getting to some of the hiking areas and ease of just getting around. Pingouin Car Rental is the cheapest in Mauritius, with prices from $220 USD per week. Buses are available on the entire island operating from 6:30 AM to 8 PM. Tickets are very cheap, from 15Rs to 30Rs depending on the distance of the trip. They run often and have bus stops in almost every village. Plan your trip at www.mauritius-buses.com. Mauritius is a beautiful island not only for the rich and famous at high-end luxury resorts. This island is well-developed and caters to those on all types of budgets. The best way to save money is to rent a car for the week and bring a tent. Instead of paying for rooms, camping is excellent and there are several beaches with facilities for showering. 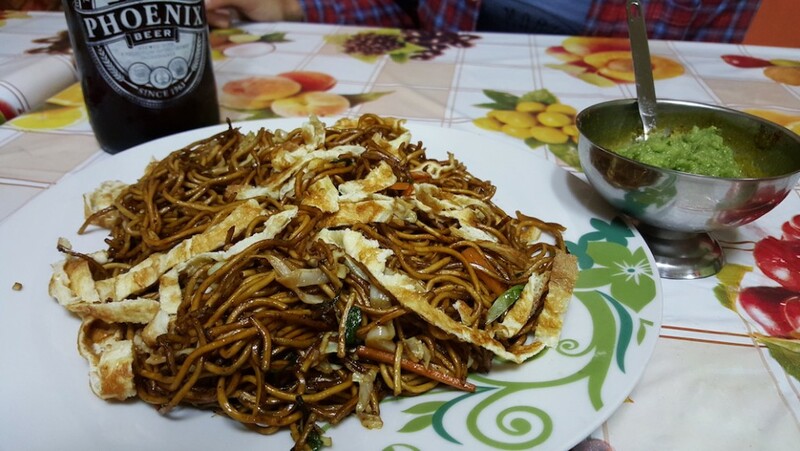 Don’t miss out on the excellent local street food, one of our favorites. If camping isn’t your thing, stick to some of the budget options for accommodation and use the excellent bus system. *Links to products are affiliate links. If you consider buying any hiking gear, please consider buying through the affiliate links on this page. You won’t pay for anything extra at all, but we will receive a small commission (usually 2%-5%) to help run the website. We appreciate the support! Hello dear Beard and Curly, could you tell me where you found out camping in Mauritius is legal? I can’t seem to find anything. That’d be great. Thanks already for your suggestions, that is great news and I look forward to my trip next week even more. I took a deep look at some government documents, and I also could not find that it is legal. However, I also could not find that it was illegal. What I do know and quite easy to find online is that Mauritius is 100% public beaches. While there is private property and land/resorts, etc…, the beaches can still be used by anyone. We spent our night’s camping on the bigger public beaches, and not once had any issues. Sorry this response is a little late, I had poor wifi for a couple weeks while in Flores, Indonesia. Are you back from your trip yet? Would love to hear how it went and if you had any issues.